They have an amazing selection of recipes on the website but I wanted to bake some brownies. Months ago I bought myself a “perfect brownie” pan set; it supposes to do it all – bake, slice and serve. I’ve never used it and I really wanted to try it out… so the choice was made – we are going to have some brownies! 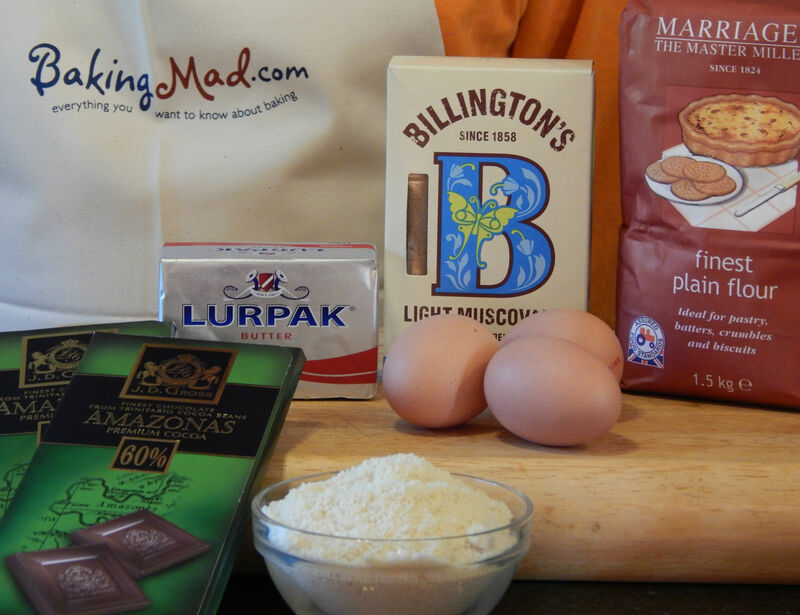 I picked something quick and easy as you can’t go wrong with some Chocolate Brownies. 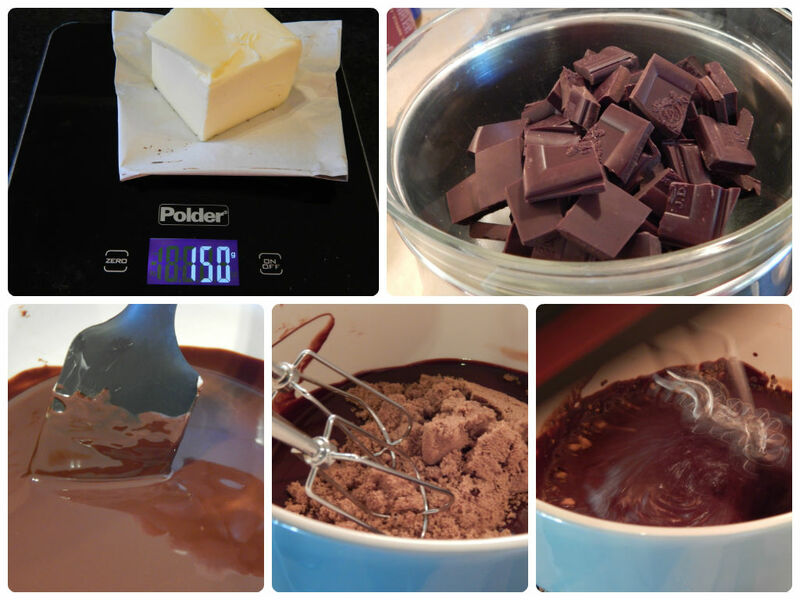 Place all of the chocolate into a bowl and add the butter. Set the bowl over a pan of gently simmering water; remember to make sure the water does not touch the bottom of the bowl. Stir gently until melted. Remove the bowl from the pan and cool slightly (we left it off the heat for about 5 minutes). Beat the sugar into the chocolate mixture using an electric mixer. Add the eggs one at a time until all combined. Sift in the flour and beat until the mixture is smooth. Finally add the almonds and mix well. Pour the mix into the tin and bake for 30 minutes or until the skewer inserted into the brownie comes out clean. So what do you think? Not perfect but much easier and quicker than doing it with a knife. … at this point your brownies are ready; make a cuppa and enjoy! Wow they look amazing, I do love brownies!! I love brownies. I can substitute some of your ingredients and make them vegan. Thank you for this recipe! This is SO unfair! 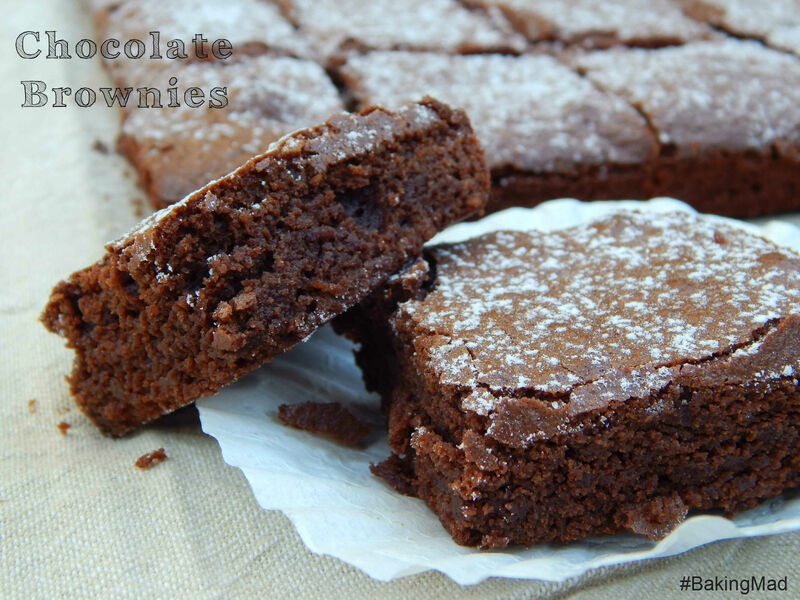 You post these tempting photos and a quick and easy recipe for chocolate brownies (I mean what’s better than brownies? Moist, oozing chocolate, the crunch of that delicate crust giving way to soft chocolate heaven…) and I’m too ill to go and make them. Whats that flying past? That would be my diet flying out the window!! Your recipe looks delicious and easy to do. My kids love brownies and I’ll try making them when they come home for the holidays. I could have done with this recipe last week when I tried a new one and was very disappointed. I’m going to pin it to my Chocolate board. Say goodbye to the box and hello to from scratch! 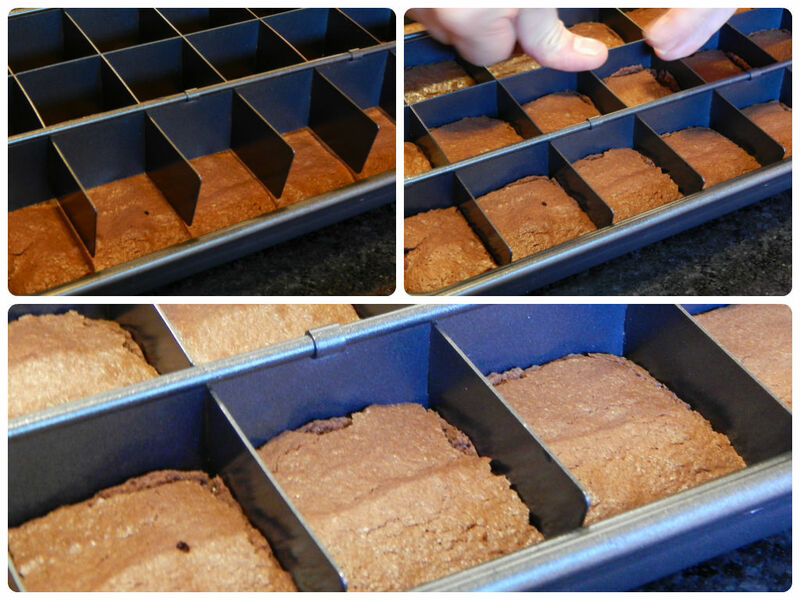 You cant beat brownies warm from the oven, and I NEED that tray, genius! What a lovely bake! Will be looking forward to your next bake! Those look delicious! I have never made my brownies from scratch like you did, I’ve always just bought a box of brownie mix & went to town that way! I want one of those Perfect Brownie pans! My brownies NEVER come out that even! The cutter’s an interesting idea. I wonder will it end up shoved at the back of the drawer or become your favourite gadget?! I want that brownie pan! The edge is the best bit on a brownie, after all. We love brownies here and we are always trying different recipes. I’ve never made them with almonds. I LOVE the pan! the recipe sounds scrumptious!!!! omg i love brownies sounds like a great recipe, love the post! 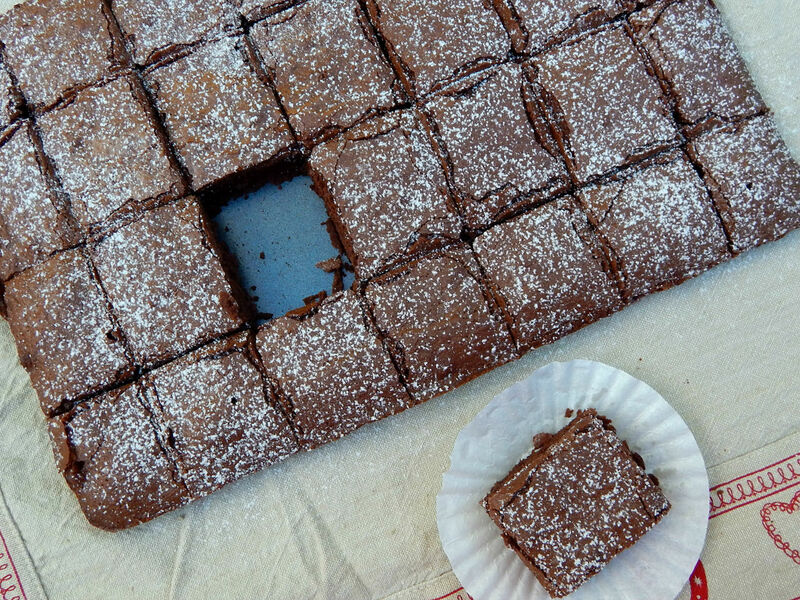 I <3 brownies…I will definitely try yours recipe! Oh my gosh, these simply look delicious! I have to make these so I have bookmarked the page. These look amazing and so chocolicious.I love your brownie tray, I could do with one of those.